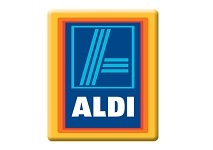 German discount retailer Aldi is expanding into convenience store retailing in the UK with the launch of new small format stores under the banner Aldi Local. Said to be aimed at urban consumers, Aldi Local is described as carrying around 1,500 lines, 300 fewer than a conventional Aldi store. INews reports that the first test store, which is located in Balham, has a floor area of around 600 sq m, about twice the size of a typical convenience store. It is said to lack the aisle dedicated to limited non-food items that would be found in a typical Aldi outlet, and also does not stock large and bulky items. Aldi already operates five smaller outlets, all of which are in London, but the Balham store is said to be the first to be converted to the Aldi Local banner.